The community of Ravensdale is located in rural western Washington, surrounded by the cities of Maple Valley, Black Diamond, the Cedar River, with plenty of green open space and forests. It is a growing community of about 1,100 residents in King County. 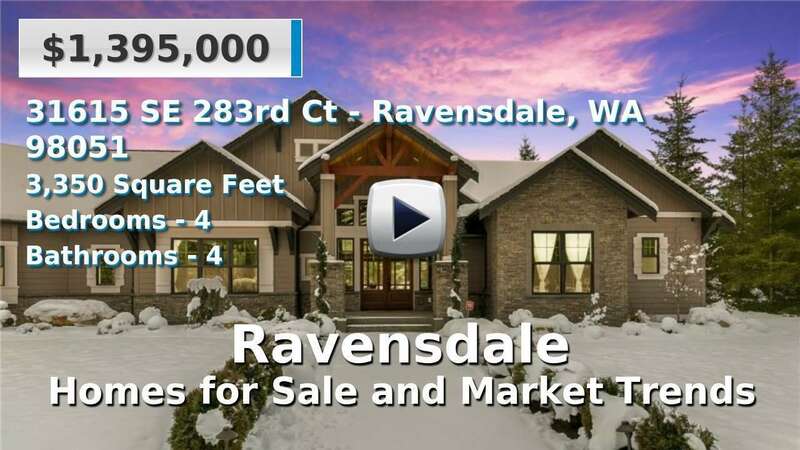 Homes for sale in Ravensdale often have larger lots than others in the county, and the commute to the Seattle metro area is about 35-40 minutes. 4 Beds | 2.5 Baths | 2040 sq. Ft.
4 Beds | 2.25 Baths | 2370 sq. Ft.
3 Beds | 1.5 Baths | 2128 sq. Ft.